August 11, 1994, LG Crabo. 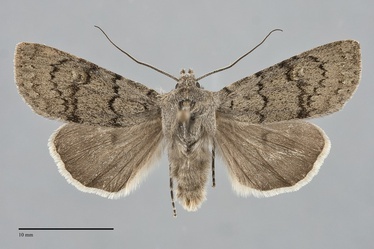 Euxoa macleani is a small to medium size alpine Euxoa (FW length 12–16 mm) with uniform gray forewings with black transverse lines. The ground color is usually even medium-dark gray, sometimes slightly tinted with brown. The basal, antemedial, medial, and postmedial lines are similar, simple, dark gray to black. The basal and antemedial are transversely oriented and drawn toward the base on the veins. The median line is often as dark as the other lines but more diffuse, often weakly scalloped. The postmedial line is sharply toothed on the veins, drawn toward the base on the costa, bluntly curved around the reniform spot, and strongly angled toward the base below the spot. The subterminal line is a faint series of ill-defined pale marks, preceded by a more prominent gray shade or series of ill-defined spots. The basal line is variable, usually a series of black spots. The orbicular spot is usually absent, uncommonly a small incomplete oval filled with the ground color. The reniform spot is also inconspicuous, usually a few pale scales surrounding a dark lunule. The claviform spot is absent. The hindwing is dark gray with barely darker discal spot and a solid white fringe. The head and thorax match the wing color. The male antenna is Euxoa macleani is a member of the subgenus Pleonectopoda. This subgenus is characterized by a subbasal coil or twist of the male vesica, only evident when the vesica is everted during dissection. This species can usually be recognized by its relatively small size, plain gray color, and limited black transverse markings. It is similar to Euxoa apopsis, a recently described alpine species that has small eyes (when viewed from the front). The eyes of E. macleani are larger, hemispherical like those of most other nocturnal moths. Euxoa comosa, a common, widespread, and variable species, can be very similar to E. macleani, especially in the northwestern Cascades. At Artists Point near Mt. Baker in Washington these species can only be reliably differentiated without resorting to dissection by the hindwing fringe. It has an inner dark band in E. comosa but not in E. macleani. 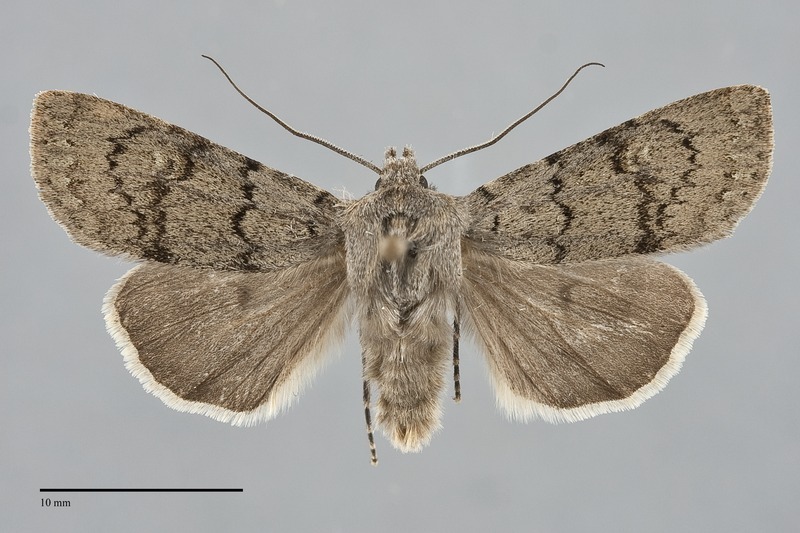 Uniform gray specimens of Euxoa vallus, another alpine moth, are also similar to E. macleani. This species is larger, more blue-gray with yellow patches, and usually lacks the three similar black lines across the median wing that are typical of E. macleani. The type locality of Euxoa macleani McDunnough is Mt. McLean, British Columbia. This species is restricted to rocky alpine tundra at high elevations near or above timberline. Euxoa macleani occurs in the Coast Range of south-western British Columbia and the northern Cascade Range as far south as Okanogan County, Washington. This species was thought to be very rare at the time of the MONA fascicle (Lafontaine 1987). It is now known to be moderately common in the proper alpine environment. This species is Pacific Northwest endemic species. 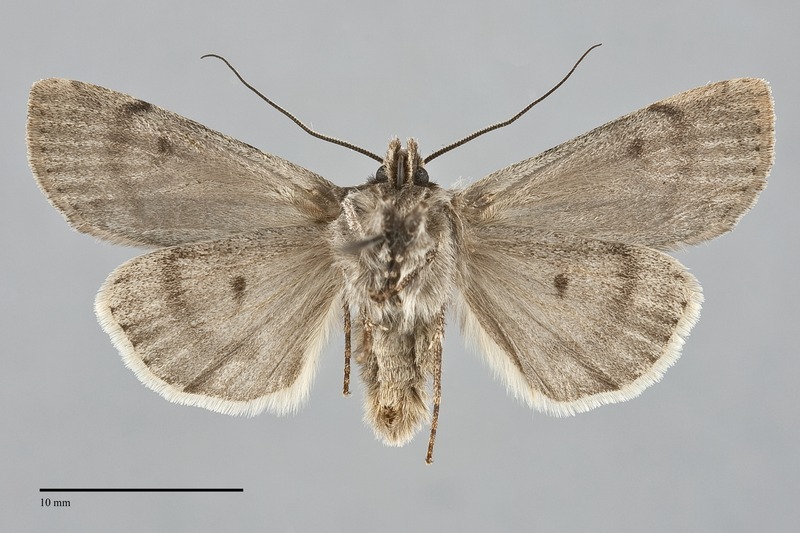 In 1987 at the time of the Euxoa MONA fascicle a population of similar moths from northern Quebec were considered to be a subspecies of E. macleani. They are now recognized as a distinct species, Euxoa chimoensis. The adults fly in the summer several weeks after the snowmelt. The Pacific Northwest records are from late July and August. It is nocturnal and comes to light, although a few specimens have been collected while seeking nectar at moss campion (Silene acaulis) during the day.